We replaced them with more independent brands that put the quality of their foods first such as Orijen, Acana, Gentle, and Lovejoy’s offering upto 80% meat. 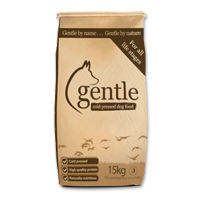 We also introduced our own Premium Dog Food range with meat content of 26% at a fraction of the cost of a comparable brand. Also at Taylors Petfoods we now have the ingredients of every food and treat clearly displayed on the shelf edge. This combined with educating our customers has helped them to make more informed decisions about their pets diet.